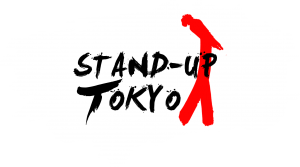 After selling out at Just For Laughs, Yuk Yuks (Canada) & The World Famous Comedy Store (LA) The World’s hottest new roast shows is coming to Tokyo. It’s hood vs hood. CONTENT WARNING! For this show we have invited back an all star squad of killer International Comedians that have headlined Good Heavens over the past year to the delight of Tokyo audiences. Saturday Feb 23 @ 7:30. Come early for best seats. This will be the most ambitious roast show this continent has ever seen.